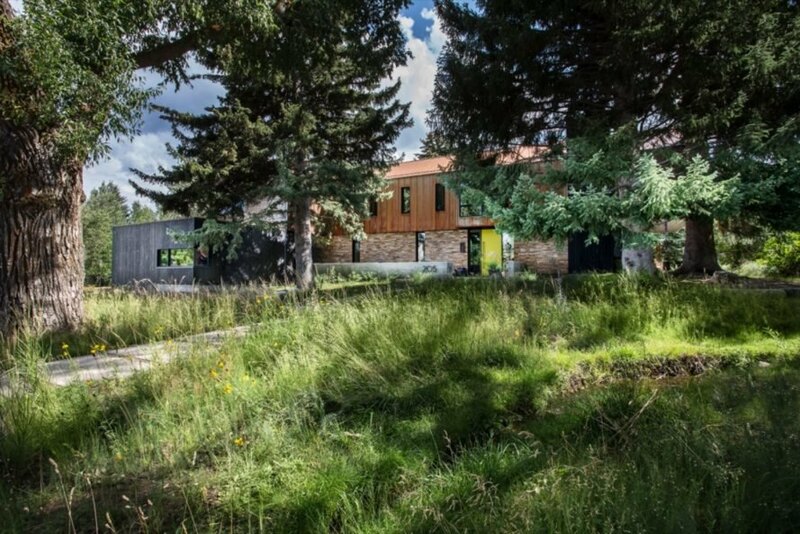 The building elements of a century-old farmhouse in Park City, Utah have been salvaged and transformed into a beautiful and contemporary new residence that pays homage to its historic rural past. 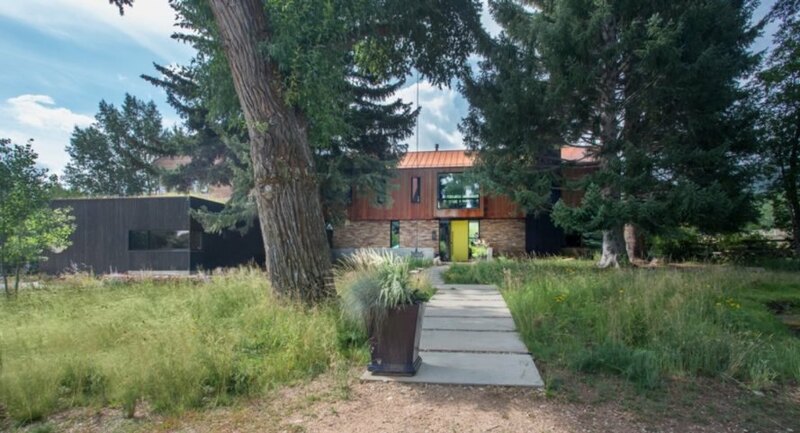 Located on a nearly 80-year-old forested plot of spruce and cottonwood trees, the former farmhouse was beyond repair and needed to be demolished. Wanting to save the spirit of the structure, the owners turned to Salt Lake City- and Los Angeles-based design studio Sparano + Mooney Architecture to design a modern abode that would occupy the former building’s footprint and make use of as many recycled materials as possible. 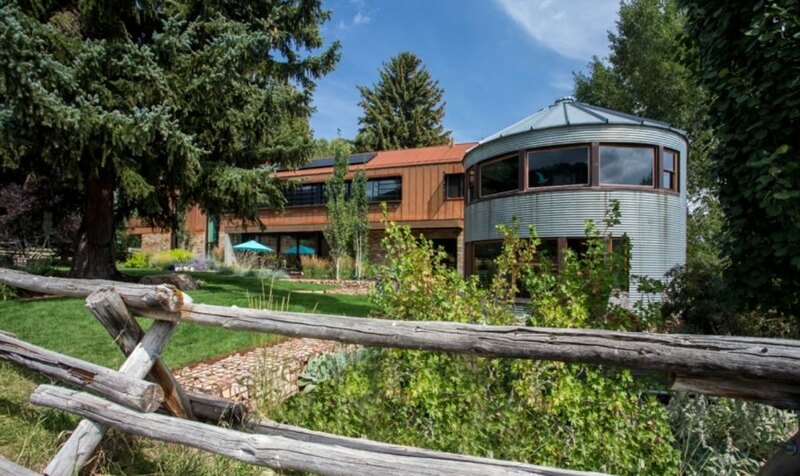 Named the Reddish Residence, the two-story home spreads out over 4,000 square feet. A natural materials palette of timber and stone tie the building to the landscape, while elements like recycled wood and metal reference the farmhouse vernacular. Inspired by the petrified wood — fossilized remains of trees or plants that turn into stone — found on the site, the architects used building materials that also visually morph over time. 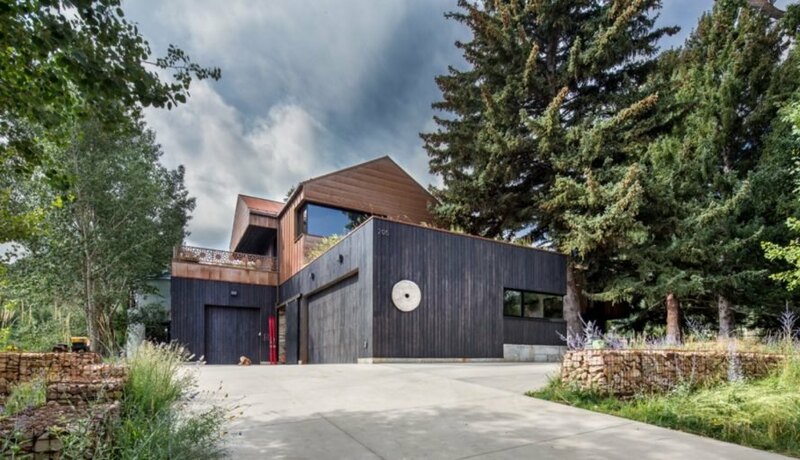 Consequently, the Reddish Residence exterior includes weathering steel and reclaimed cedar that’s treated with the Shou Sugi Ban technique for a charred, blackened finish. Further tying the modern house into its surroundings are the abundance of landscaping, a green roof atop the charred cedar-clad addition and large full-height glazing. In contrast to the mostly muted exterior palette, the interior is full of colors, patterns and textures set on a backdrop of mainly white-painted walls and concrete floors. The existing metal silo was preserved and renovated to house the home office. The rooftop is also topped with solar panels. 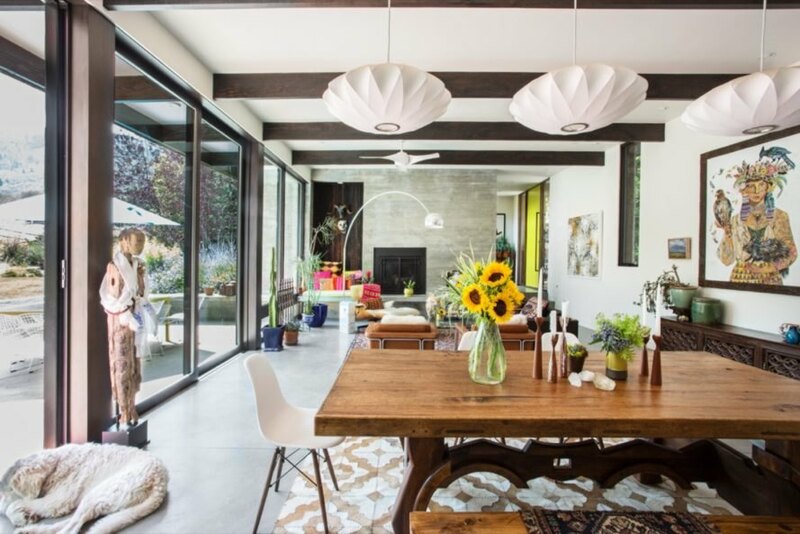 This lovely modern home was once an old farmhouse. Sparano + Mooney Architecture incorporated many recycled elements from the historic farmhouse. The home is clad in charred timber and weathered steel. The former silo was kept and renovated as part of the new home. 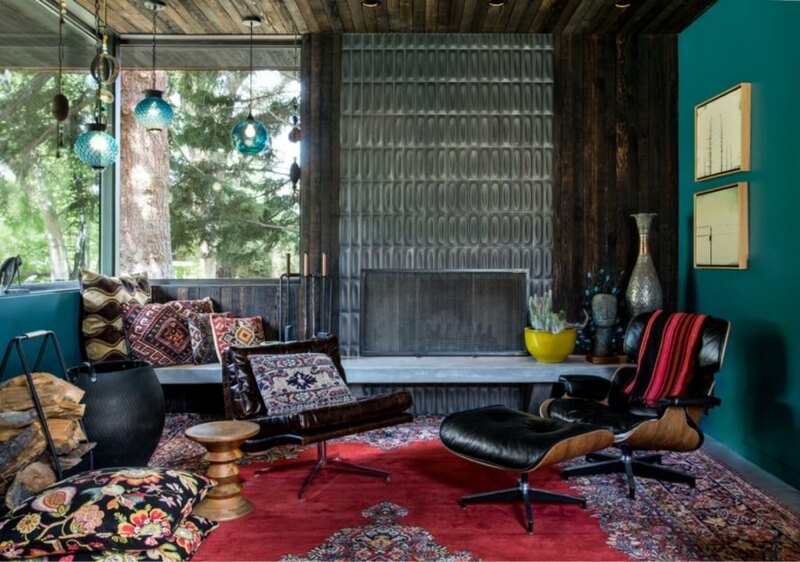 In contrast to the neutral exterior, the interior embraces bold color. 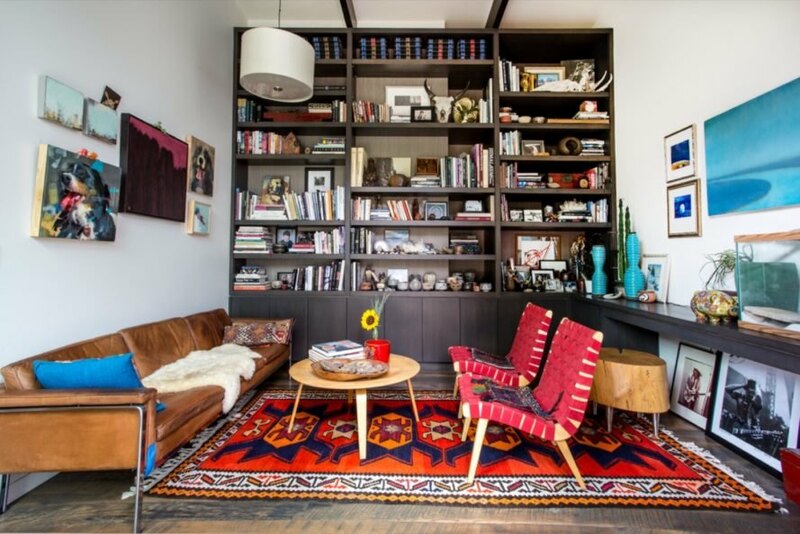 Every room is filled with vibrant hues and playful patterns. 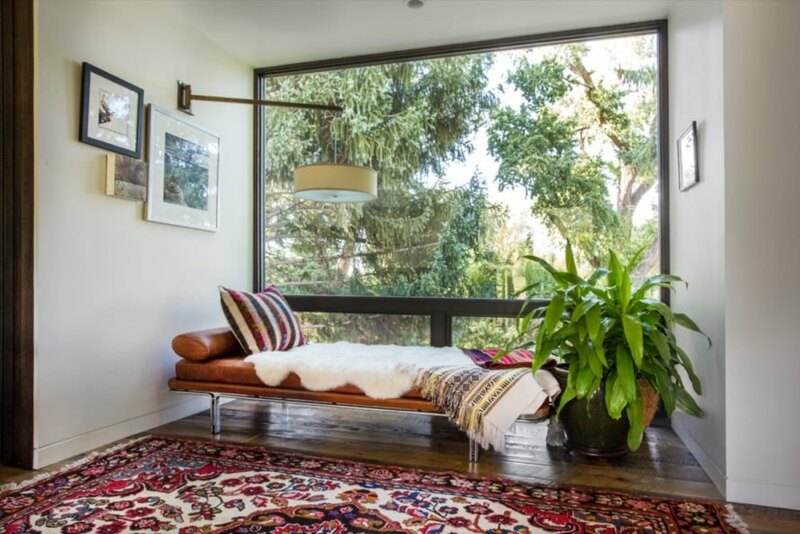 Large windows offer ideal vistas. An open floor plan creates an airy feel. The home is relaxing indoors and out. The modern farmhouse sits in Park City, Utah.